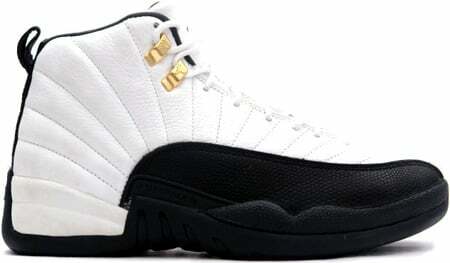 The Original Air Jordan 12 White / Black – Taxi is known to sneaker heads as the OG Air Jordan XII Taxis. Original release was in 1996, with a retail tag of $135. 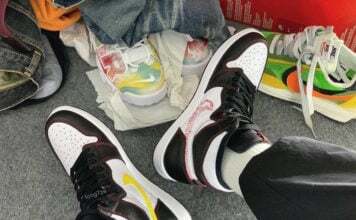 The 1996 – 1997 NBA Season, Michael Jordan and the Chicago Bulls won their 5th Championship, and during the season Michael Jordan wore the Air Jordan Original 12 Taxis. Prices for the Jordan OG XII Taxis range from $180 – $275.